The annual Australasian Oil & Gas Exhibition & Conference (AOG) is the premier event for the Australian oil and gas industry, featuring over 200 exhibiting brands. This event is a showcase of the latest products, and attracts over 8 000 global visitors, providing opportunities to network and learn about the latest innovations. The importance of the event is underscored by the fact that a 2016 meeting of State and Federal Energy Ministers highlighted the critical role that gas will play in Australia’s rapidly-evolving energy sector. 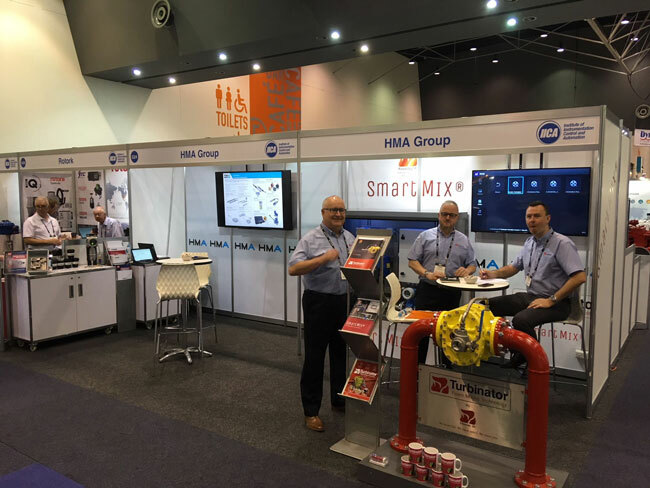 The #HMAGroup’s Instrumentation Division exhibited in partnership with Knowsley SK at AOG 2018 from 14-16 Mar at the Perth Convention & Exhibition Centre at Stand G24. Knowsley SK designs manufacture and delivers innovative firefighting systems for the protection of high-value oil, gas and petrochemical installations. HMA Fire & Gas designs and builds customised solutions such as firefighting deluge systems, addressable fire and/or gas detection systems, including extinguishing agent-release systems, and annunciation systems. We have supplied systems and equipment to all major #Oil&Gas clients such as Apache, Woodside, Shell, Esso, Vermilion, ConocoPhillips, QGC, Caltex, etc. Learn more: http://bit.ly/2Fdm4kR.